Do you suffer from peony envy? Haven’t stopped to smell the roses? Or just want to impress your date with a secret garden? In these busy times we may not be able to indulge our inner green thumb but that doesn’t mean you can’t enjoy the fruit of other gardener’s labors. Think Lady Chatterly. Here is a guide to the Hidden Best Hamptons Gardens. In a word this place is simply “cool.” The mission of LongHouse Reserve is to exemplify living with art in all forms. While it is home to famed textile designer Jack Lenor Larsen, you are invited to visit. 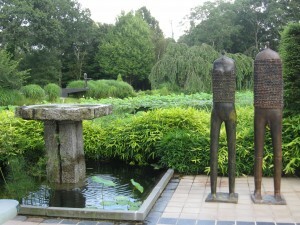 Through its arboretum, sculpture gardens, and educational programs LongHouse Reserve brings together art and nature, aesthetics and spirits in a truly magical ground. You wouldn’t be surprised if pixies jumped out of the tamed forest. 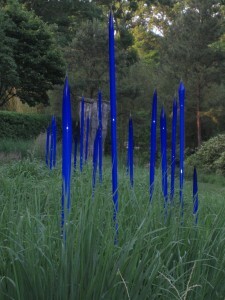 A 16 acre oasis for the senses, you enjoy the visual beauty of numerous plant species and the incredible sculptures from artists including Eric Fischl, Willem de Kooning and the beautiful blown glass of Dale Chihuly, the sounds of ancient gongs, rustling of the tall grasses or chorus of lily pond frogs, and scents of blooming roses. The landscape and art change with the seasons to delight new and frequent visitors. 2010 Season opens May 1st and runs to October 9th. Open days for members and the public are 2 – 5pm on Wednesdays and Saturdays and in July and August Wednesday through Saturday. Admission is $10 adults, $8 seniors. Special tours can be arranged for groups of 20 or more. Special garden Twilight Tours make the magic hour even more magical on certain Mondays from 6 – 8pm (July 5, Aug 2, 23, 30.) Reserve early! Sound Meditation Classes with Jim Owen are every Saturday at 8am from June 19 – Sept. 4. 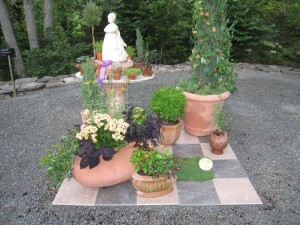 On June 26 is the famous LHR Planters On & Off the Ground III Invitational where the most creative minds create container plantings to astound. This year it will be judged by John Danzer. There will also be a special Music Festival of the Hamptons Concert. Their summer gala is an absolute not to miss Hamptons event — “Excentrica” honoring Laurie Anderson and Jan Cowles on Saturday July 17. Special surprises are in store and you know it’s something fantastic if it’s the LongHouse. 133 Hands Creek Road, East Hampton, 631-329-3568, www.longhouse.org. Artist, writer, and horticulturalist Robert Dash has lovingly cultivated this private garden, The Madoo Conservancy, over 40 years at his 2 acre home in Sagaponack which he opens up to the public on Friday and Saturday from noon to 4pm, May 15 – September 15. Like a tasting menu there are Tudor, early Greek, and Oriental garden influences with antiques and found objects mixed in for a charming chiaroscuro effect. Admission is $10 for a self-guided tour or you can arrange for a guided tour of ten or more with the added bonus of a casual lunch and or drinks with Robert Dash. You haven’t lived unless you’ve been regaled by his entertaining stories over Bloody Mary’s. While the garden is now registered in the National Register of Historic Places, it is Mr. Dash who is also a local treasure to be experienced. 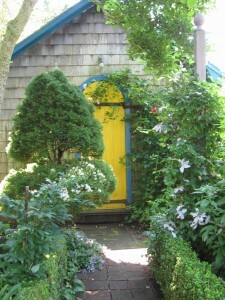 618 Sagg Main Street, Sagaponack, 631-537-8200, www.madoo.org. Bridge Gardens TrustThe Bridge Gardens Trust botanical garden was donated to the Peconic Land Trust in 2008 by founders and gardeners Jim Kilpatric and Harry Neyens who created an oasis over 20 years with both an Inner and Outer Garden which will bring up all your Renaissance bodice busting past lifetimes. 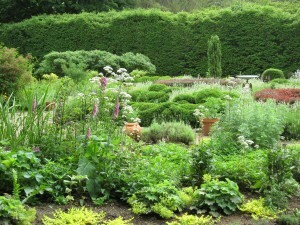 The Inner Garden has a Spanish styled knot garden with beds of culinary, medicinal, and textile and dyeing herbs, an ivy maze, an Apple Tree Espalier, and a hidden Bamboo Room. The Outer Garden is a scent-lovers dream with eight lavender beds, a thyme bed with 22 varieties, and a collection of 800 antique and modern roses which will leave you intoxicated – careful driving. On Fridays live music will be performed t 6pm and you are welcome to bring a picnic. 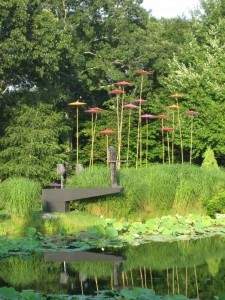 This summer the gardens will also work in collaboration with C Fine Art to display sculptures by 9 internationally celebrated sculptors in “Uncommon Ground,” with an opening reception June 26. Gardens are open Wednesday and Thursday noon – 5, Friday, noon – dusk, Saturday 10 – 5, Sunday noon – 4. Cost is for $10 adult or $20 for a family up to four. Tours for 10 or more can be arranged. 36 Mitchell Lane, Bridgehampton, www.Peconiclandtrust.org/bridge_gardens, 631-537-7447. Are you a rose-aholic? Are you planting every spare space including your car sun-roof with roses? Have you tattooed your favorite rose on your body? 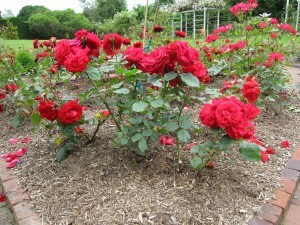 Okay, so maybe you’re not that crazy, but for those of you who adore hybrid teas, floribundas, and bourbon (roses not mint julips) you have to know about the Southampton Rose Society. They have workshops, lectures, and a special monthly publication the “Dune Rose.” Membership is $25 for students, $50 for individuals, $90 for dual membership (you and your enabler), or $150 for patrons. 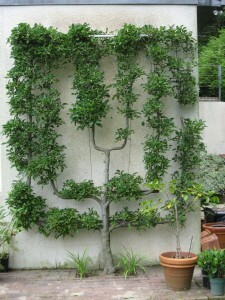 “Bring Home The Silver” Workshop at the garden of Lee and Elliott Packman June 12 10:30am. At Rogers Memorial Library 7:30am to 4pm. At a gorgeous Southampton Estate. For more info contact Southampton-rose-society.org. This is a two day event with an engaging symposium on Saturday morning featuring renowned experts on design Dominique Browning, Barbara Damrosch, and April Gornik and an exclusive tour of some of the most coveted private gardens in Southampton on Sunday. Break up the flora with a little cocktail fauna on Saturday evening. Tickets for the symposium and tour are $125 for Parrish members and $175 non members – cocktail reception included with $300 ticket and above. www.parrishart.org, 631-283-2118 x42. These fantastic gardens are all bark and no bite. 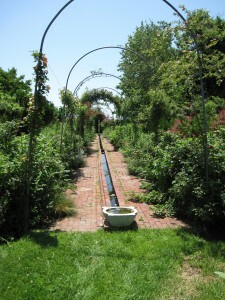 The self guided tour takes you through spectacular gardens in Amagansett and Springs from 10 – 4p. Garden Tour tickets are $75 and $175 for the Garden Tour and Cocktail Party with all tails a-wagging. More info Kathy@arfhamptons.org, 631-537-0400 x214.